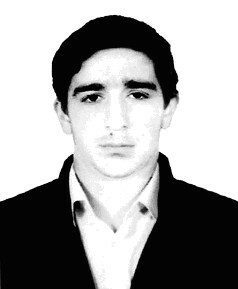 Arsamakov Makhmud Ahmedovich, 1986. kidnapped in May, 9, 2007. In May, 9,2007,he and his friend,Oziev Ruslan from Nazran in Vladikavkaz direction by regular coach. At 15:30 they visited the market «Globus» in Vladikavkaz (they were shot with videorecording camera of the market). After that,Arsamakov and Oziev were seen at the busstop next to cinema «Druzhba»,where they waited for a bus to come back home. Since that time the traces of the young men have not found and nothing is known of their further fate. Arsamakov’s and Oziev’s relatives applied to Northern Osetiya ministry of internal affairs and the procuracy as well as to law enforcement bodies of Ingushetiya but no results there are. In the day of disappearance, Arsamakov Makhmud was dressed in black form of private guard, Ruslan Oziev-white T-shirt with red stripes.